Entry Level course which includes training required for becoming certified in radon measurement. This popular online course was recently updated (Jan 2016) to include video of a classroom session. It still includes many extras including business resources and online quiz questions designed to help you prepare for the national certification exam. Students also have access to the audio version of the course. This course is also a prerequisite course for the Radon Mitigation Entry Level Course. The course includes a comprehensive and easy to use format of video instruction which allows you to study the material at your own pace. The video instruction is supplemented with a Course Manual and with many extra supplemental resources which includes audio interviews with experts within the radon industry. This course is designed to provide you with all the instruction you need for becoming certified as well as valuable practical advice and resources for managing your radon business. With an impressive 92% passing rate on the certification exams, these courses have proven to be successful and popular in preparing students for the certification exam and for conducting business. There is approximately 20 hours of coursework, including watching videos; online resources such as, protocols, and publications; and quizzes that are taken as you progress through the course (not timed and may be taken unlimited times). There is no time limit for taking the course, and even after completion you continue to have access to the course in order to refer back to resources. National Certification Exam: Purchased separately and available nationwide through PSI LaserGrade. I found this course to be very informative and the instructor provided very thorough information regarding the topic. I feel that I have obtained great knowledge to use moving forward with radon measurement in my career. should be condensed, a lot of food info but by the time the video is over i forgot whats important. Easy to understand and will be very useful on my journey in the business. 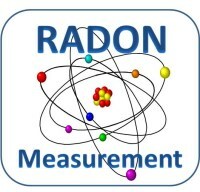 The course provided me with the knowledge needed to become a professional in the field of radon measurement. I highly recommend the course. Incredibly well done and informative. I feel very prepared for the national exam and have gain much needed confidence to pass and be nationally certified. The information is vital for helping people make sense of their radon levels and has been a wonderful in allowing me to clearly and intelligently address concerns and give sound advice. This was a very informative course and i knew very little about radon testing before this course therefore i really appreciate how in depth the instructor went into radon and the decay products. I am very confident in my knowledge as a radon professional having been through this course. The course was very informative and present the information in a logical manner. This is a wonderful course, there is a lot of information to digest and I know that i will have to go back through the material in order to fully prepare for the exam but I am completely confident that I have the resources needed to obtain certification. Doug is a professional I appreciate having had him as an instructor. Great course, the material is easy to understand and follow along, you are able to take the course on your own time frame and review the material before taking the chapter quiz. I would recommend for everyone! Very helpful with learning about Radon. The course was very interactive and provided a good guideline to learn the material. Great course, lots of awesome information and real life experience and examples. The course is designed with depth and detail that will serve me well for years to come. Excellent course and great in that it allows completion as your time and schedule allows. I found the course very informative and done in a professional manner. The course is good, it teaches radon basics in a way that is understandable. It's a lot of information for the format, but good job! I appreciated having the video of the actual class alongside the power point presentation, it made for an easier learning experience for me. This course has been a wealth of information. CERTI has done an excellent job of providing the course information in a concise and understandable format. Well presented, easy to understand and implement the information. This is an excellent course for the beginner.